Special Event Restroom & Trailer Rentals | Anderson Rentals, Inc. Special Events – Anderson Rentals, Inc. When you plan for a large event in Central Florida, you want patrons remembering the event experience and not giving a thought to restrooms. Let the experienced staff at Anderson Rentals, Inc. assist in planning your portable restroom rental, ensuring sanitation services are provided meeting state and local regulations. We can help plan for ADA accessibility, hand-washing facilities and optimal placement of portable restrooms based on the attendee needs and geography of the event. We can assist in planning the number of portable restrooms and other amenities you may need based on the size of the event. Let us plan accurately for your sanitation needs according to state codes. Use our Portable Usage Chart as a helpful guide. 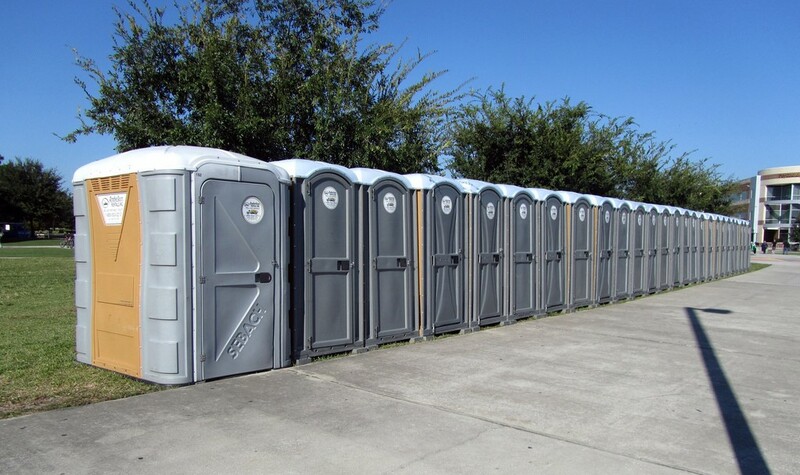 We assist event planners for a multitude of occasions where portable restrooms may be required. From a small gathering of a few guests to many hundreds or thousands, Anderson Rentals, Inc. has affordable, convenient options. We provide services for special events such as outdoor music festivals, arts and crafts fairs, church fairs, air and car shows, sports events, running events, weddings and large parties. We also have experience servicing specialty locations such as marinas, beaches and athletic facilities that require portable restroom facilities with reliable service and professional delivery and maintenance. What can you expect from Anderson Rentals, Inc.? Knowledgeable/experienced staff – our office is right here in Florida to help plan the needs of your event! We are your local provider, and not some 800 company that is going to ‘farm’ out your order. Reliable delivery every time—we provide a call One hour before delivery to ensure accurate placement. High-quality portable restroom facilities—portables and luxury restroom trailers, plus specialty equipment for a variety of site needs, maintained to a high standard. Why are they Tan? Because we studied the temperatures of dark blue or dark green. Tan is coolest! Convenience and flexibility—experienced usage planning and flexible options to work with your individual event/site. Trust in the experience and affordability of quality portable sanitation services at Anderson Rentals. Contact us at 1-800-553-2213 to get a quote.